DOVER - The Strafford County Sheriff's Office today announced the promotion of Deputy Mark Brave to the rank of Sergeant. He will be the highest ranking African-American officer to ever serve at the department. 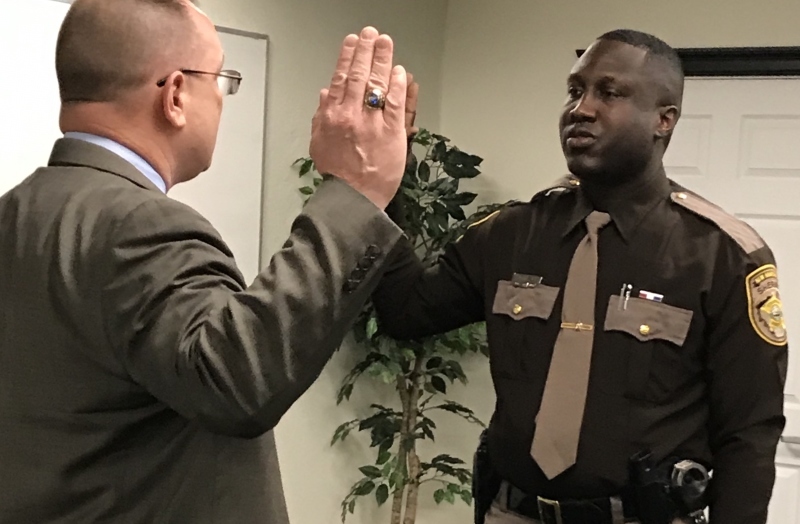 Brave, a certified New Hampshire Police Officer since 2015, joined the SCSO in July 2017 after previously working for the Rochester Police Department. Strafford County Sheriff Dubois said Brave has shown himself an asset to the department. "Sergeant Mark Brave has proven himself as a valued member of our staff," Dubois said. "We look forward to his continued performance as a line supervisor in service to the people of Strafford County."